Wario Land 4’s Soundtrack is Getting a HD Remake! When it comes to video game music projects, the usual names tend to show up. Super Mario Bros gets an orchestra. The Legend of Zelda gets the Symphony of the Goddesses and all manner of fan made projects. Pokemon has Pokemon Reorchestrated. Heck, even the Donkey Kong Country games and Mario & Luigi RPGs are getting soundtrack remakes now! But up until now, there’s not much out there for Wario fans. Oh sure, you can find the odd remix on Youtube or Soundcloud. And if you’re really lucky, Nintendo will throw you in a bone in Super Smash Bros or a Mario spinoff. Yet none of the Wario Land games got the full music project treatment. As you can see, there’s a lot of great songs there. And new ones are literally being uploaded every few hours or so. Seriously, the whole project was only started in late April, and yet he’s got through most of the game’s soundtrack! So if you’re a dedicated Wario fan, you need to start listening to these remade songs! Because they are absolutely amazing, and will make you want a Wario Land 4 remake right this minute! I hope this creates enough interest to make a new game. Same here, I'd like a Wario Land 5 for Nintendo 3DS. 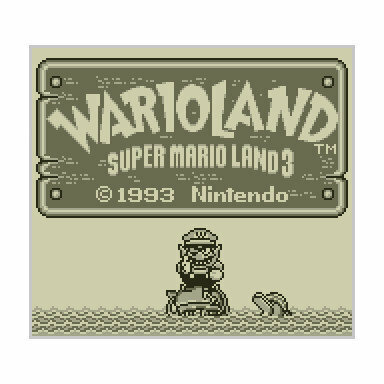 Wario Land Super Mario Land 3 coming to eShop in Europe!